The Japanese Government will ease regulations in an effort to have 100 stations in operation by 2015. Under the current regulations, hydrogen stations can only be built in industrial areas. 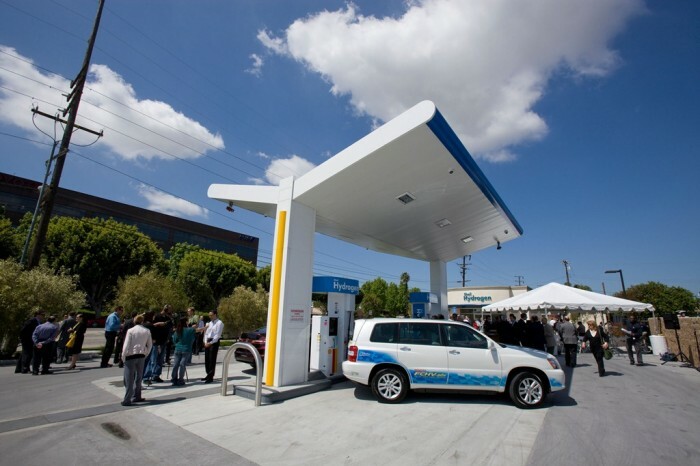 Thirteen companies, including three major automakers and a number of oil and gas firms, plan to set up 100 hydrogen stations in such cities as Tokyo, Osaka, Nagoya and Fukuoka by 2015. Nagoya-based Toho Gas Co. and other companies will build pilot hydrogen stations in three locations, including the city of Toyota, Aichi Prefecture, by the end of the current fiscal year. The government will subsidize these projects to help defray construction costs.